Silveroaks Hotel in Geyserland, New Zealand, is an absolute joy to stay in with a fantastic ambience and a jawdropping view of the spectacular Pohutu Geyser. Though there are plenty of fantastic accommodation options in Rotorua, you'll be hardpressed to find something as gorgeous as Silveroaks. Silveroaks Hotel is an award winning establishment having won several awards in both Australia and New Zealand for its high quality rooms and service. The hotel facilities include a sauna, spa, spout pools, swimming pool and a gymnasium. There are daily concerts in the family restaurant which are worth the flights to New Zealand in itself. Silver Oaks is conveniently located next to some of the finest attractions in the Rotorua area. 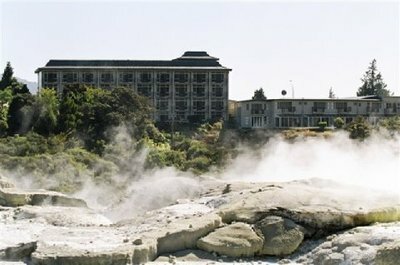 It overlooks the world famous Whakarewarewa thermal wonderland which offer daily guided tours into this unique village. The gorgeous natural landscape is a sight that needs to be seen to be believed. 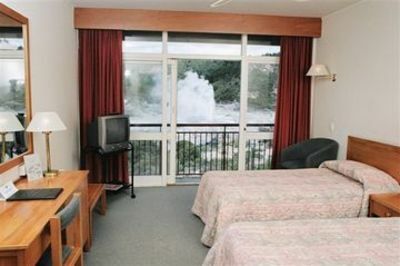 All in all, its convenient location and breaktaking views make Silver Oaks Hotel a fantastic place to stay when visiting Rotorua. For more information, check out the official Silver Oaks Hotel Geyserland website.